I've been been a professional photographer for 15 years. My work has appeared in the New York Times, Style Me Pretty and brides.com. In 2015 Style Me Pretty interviewed me, in 2016 Complete Wedding Magazine called me "One of the World's Best Wedding Photographers". Here I spoke to London expat and one of Adelaide's newest hair and makeup artists, Natalia Anakkar. I have just taken a leap of faith and moved across the world all the way from the big smoke in London city. 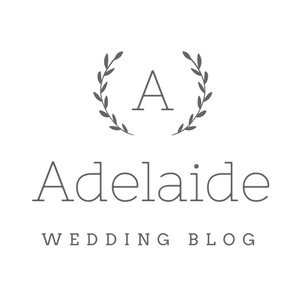 Now, I am freelancing as a makeup artist in Adelaide working on weddings, beauty shoots, editorials and private events. I originally trained in London as a makeup artist 7 years ago with a good family friend and expert in makeup, Louise Constad. I then studied makeup artistry in even more depth at the very prestigious Delamar Academy. Here I learnt the tricks of the trade in not just fashion, beauty and weddings but also TV, film and theatre. I was lucky enough to work on many varied jobs including TV drama The Coroner, a BBC series along with music videos featuring Tinie Tempah and Jess Glynne to name just a few. I have also worked with top artists such as Sarah Jagger who I worked closely with and assisted regularly on beauty shoots and editorials. As a working makeup artist, I am always seeking out new products left, right and centre. There is so much on the market these days which means you have to trial many products in order to have the best possible to you on all different jobs and all skin tones. I particularly love MAC, Nars, Chanel and Bobbi Brown as these are brands that I can rely on and work every time. I do have lots of different products in my kit because I like to chop and change frequently depending on the job. Many brides I work with usually have certain makeup products that they like me to use because they are comfortable with particular items that they know work well on their skin. This can be very helpful because at the end of the day, I can use my own products to build on these. I most definitely make it work with or without their products. Some brides just like to purchase their own lipstick as they want to ensure they can take this around with them on the day. I usually recommend doing this so that the colour match is perfect all day but otherwise I take a swab of my own lipstick choice and give this to the bride in a little pot so she has more to apply later on. To secure the wedding day, I ask for a 50% non refundable deposit upfront and full payment one week before the wedding via direct debit, or cash on the day. I will travel to the brides home/hotel/venue/etc to create the look of her dreams. Some brides are happy to come to my home studio at Henley Beach for their trial but I am available to travel to them too. Yes, leading up to the wedding it is important for a trial to take place. In this session, I can get to know what style the bride is looking for and we can discuss likes and dislikes along with any other questions. I can then create the best look I feel will suit the brides needs and represent the very best version of her. This is a way for us to get to know each other and I always welcome pictures and visual mood boards so that I have a better understanding of what style the bride has in mind. It makes it a lot easier for both parties to see visual images in order to ensure we are both on the right page. A smokey eye to one may look completely different to another. There are so many ways of creating something like this whether it be soft and subtle or stronger and more colourful. It is important to make sure details like this are explored on the trial day to ensure everyone is happy and confident moving forwards. For the time being, I am offering my makeup trials free of charge if booking is made, because you not only need to be happy that I am the right person for your wedding day, but I truly believe in my ability and have confidence that you will love my service. I can work comfortably on my own at a wedding with up to 7 people including the bride before I would need to source another makeup artist to come and assist me. Depending on timings, for bigger wedding groups, I would ensure that enough time was available to me in order to complete all the makeup looks professionally and at ease. For bigger groups, the start time would need to be earlier. This would be discussed at point of enquiry to avoid any need to rush or stress and to ensure the getting ready process is calm, comfortable and of course, enjoyable! This has never happened to me, touch wood. I only hope it never does as it would be very much unlucky, but in this situation, I would have a back up artist on call available to jump in and take over the job. I would have briefed them accordingly to ensure all information was passed over to the artist so that it would not be too foreign to them. I would ensure the artist was a professional, someone who I would have worked with already and therefore have no doubts or hesitations that they would also achieve the desired look. Fake tan does affect makeup yes. It is a product that acts as a barrier on skin whether this is a wash off or longer lasting tanning product. This would need to be communicated to me early on so that I would know how to work with this alongside my makeup. As you can imagine, fake tan would need to be matched to my foundation colours and concealers in order to produce a natural and flawless makeup base, whereby the fake tan blends in seamlessly. I would ensure the bride knew when was best to apply this prior to the wedding. We would not want to risk any discolouration or product on the dress. Cinderella shall go to the ball, or in this case… the wedding! I do style hair and I’m trained to do this but I am taking bookings for makeup only going forwards as I feel this is where my passion and focus lies. The sun is indeed our friend and calls for a beautiful wedding day but yes it can prove more difficult in terms of upkeep. Worry not though, makeup works wonders and especially when you have the right gear to hand! I would ensure the bride has been briefed on how to maintain the makeup throughout the day all the way into the night. This would be things like, carrying a pressed powder in her handbag and a makeup setter/refresher spray. Tissues are a must along with the chosen lippy and small brush to apply this with. Maybe the maid of honour can keep some products with her if needed or preferred. I always reassure brides not to stress because by hiring me they are ensuring that long lasting products would have been applied with accuracy and precision. Blending and contouring go along way so trust me, you will be in good hands. To be honest, not much will be needed to be applied throughout the day, if anything, a quick lippy touch up after drinks and food, a spray here and there with a setting spray/refresher to maintain the dewiness and fresh makeup look for a quick fix, but it will mainly be a case of blotting with tissues when hot. This will not affect the makeup at all and the powder is just a last resort. You don’t want to keep putting this on as you will only build on the makeup further. When carrying powder I advise a very lightweight, colourless one and don’t forget a little mirror. Q1. How long will the lipstick last? Answer: This one comes up ALOT. I have to remind brides that makeup is not magic as much as it may seem it is at times. Lipstick can be matte, sheer, satin or glossy depending on the style and colour that the bride wants. I recommend a matte/satin finish because this will last a lot longer than say a glossy one and needs little touch up. After drinking and eating, it is only natural that this will fade but with a matte product this is much less. A quick touch up will be required after food and drink unless we have used a product which is completely smudge free/very matte but just being a bit realistic is the best way to go about it. Q2. How much will I need to touch up my make up? Answer: This really depends on the activities the bride will be doing and the weather. Usually not much. The touch ups needed will be very subtle such as topping up lipstick after food and drink and blotting the skin with tissues if hot/gets sweaty from the sun or dancing etc. I always remind the bride that although she may need to do a touch up here and there with the help of her maid of honour or mum etc this will not be essential because by the time the bride has has those beautiful photos at the beginning and throughout the day, she should feel totally comfortable, beautiful and happy. Let your hair down and enjoy the rest of this amazing day! Q3. How long will the makeup application take? Answer: I usually take about 45 minutes - 1 hour for the bride. Depending on how natural/strong the look is, this is subject to change. I always make sure I know how many bridesmaids I have to make up because this time will need to be factored into the makeup session. Bridesmaids makeup usually takes me about 20-30 minutes per person, but again, subject to change, could be less or more depending on the desired style. I hope we can work together on such a wonderful occasion.